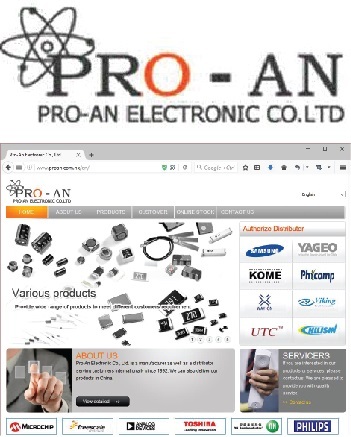 Pro-An Electronic Co Ltd. is based in Hong Kong major distributing electronic parts to China and oversea. With more than 50 staffs and branch in Shenzhen Futian and warehouse in Shenzhen tax protected area. Since 2002, Pro-An has adopt TreeSoft Trading System for receiving order in Hong Kong and managed warehouse in China by using the Treesoft cloud data centre technology. It minimizes the operation cost by connecting SZ and HK, it could provide immediate placing of order and warehouse information for every sales to frontline staff and also the staff in back office warehouse.